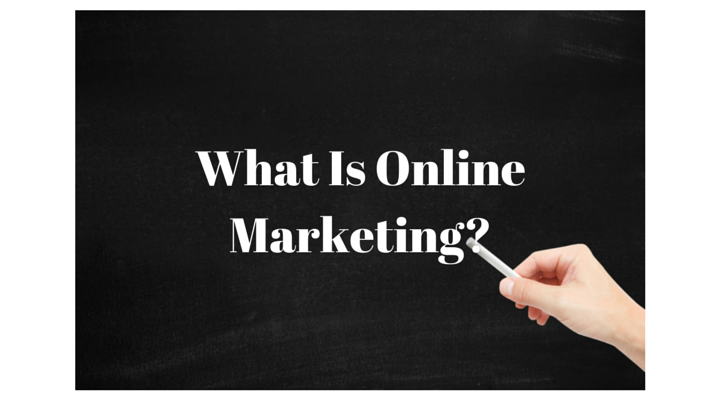 You are here: Home / What Is Online Marketing? When someone says online marketing, what comes to mind? Online advertising such as Google Adwdords or Facebook Ads, social media, SEO, blogging, the use of your website, etc..? Names such as Google, Facebook, GooglePlus, Twitter, Linkedin, Pinterest, Snapchat, YouTube, etc…? Video, images, text, live events? Is it a form of communication or just a conduit for disseminating your message? Since one of the basic elements for communicating is to have a common understanding concerning words and concepts, listed below are several perspectives concerning what online marketing can mean. Your perspective as well as the next person’s may differ. Online marketing is the leveraging of digital assets, such as your website, social media, paid online advertising and more to achieve a desired action, such as an online purchase, phone call, consumption of content, etc…, from your target audience, which may very well be your customers. Engineering this process is both a science and an art. This process must be measured, managed overtime so that positive outcomes are achieved. Your Website – In most cases, your website will be the hub of your online presence and will be the only piece of online real estate which you truly own. Now ask yourself whether your website can be found by your target audience whether it be for your brand name (business name) and/or for the goods and/or services you offer. Then ask yourself whether the site allows the visitor to complete the action you desire. Your website will be a primary part of your online marketing process. Social Media – If you are using social media, it must be for a specific reason. For example, you might be posting consistently on Facebook with the ideas it will generate additional business. The question you need to ask yourself is whether this posting activity is truly generating the action you desire. Social media can often be considered a secondary factor in online marketing. In addition, it can be used to support and build your online community and to help you maintain top of mind awareness in the minds of your audience. Paid Online Advertising – Whether it’s Google Adwords, Facebook Ads and other forms of online advertising, understanding the process and knowing whether it is producing the results you want will be the key to success. Remember, you are paying for this advertising and must consider whether the revenue produce by the outcomes for these ads exceeds the cost.